Rooftop solar panels have been gaining a lot of popularity as a technology to enlighten homes with renewable energy. Solar panels have been in the market for few years now, addressing the power issues at homes and companies. 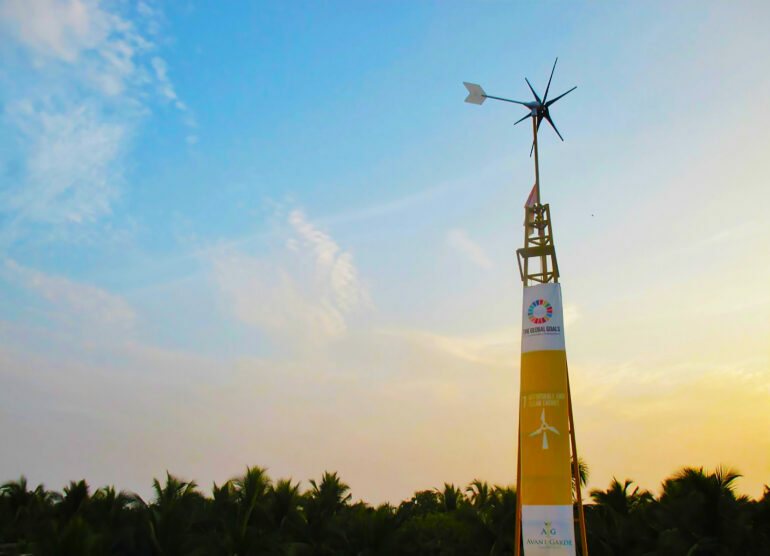 However, two renowned brothers from our country, India are working to popularize and make wind energy easily accessible to everyone. Avant Garde Innovations, the result of their hard work, is a start-up company, which develops residential wind turbines. The cost to set up a wind turbine at your residence would be around 50,000 Rupees or around USD 750. The turbine, which the brothers have designed, has been received by many and recognised internationally. It is listed in the top 20 Cleantech Innovations in India by the Global Cleantech Innovation Program, which is jointly organised by Cleantech USA, United Nations Industrial Development Organisation, Global Environment Facility and the Government of India. The United Nations has also included Avant Garde Innovations in their $1 Billion Clean Energy Investment Opportunity Directory at COP21. In 2016, Avant Garde Innovations was the only Indian clean energy company, which was invited to the Clean Energy Ministerial in the Silicon Valley. At the NEWENERGY Global Startup Fest held in Kazakhstan, it was honoured as one of the ‘Top 100 Global Startups’. The brothers, who aim to solve the power poverty problem, plan to launch their wind turbine products in the second quarter of 2017. It’s now time for people to switch to wind for enlightening and powering their homes. Such innovative, sustainable and affordable solutions that can take the energy empowerment of renewable energy sources to the next level are the need of the hour. Pioneering strategies in this sector deserve to be embraced by the government to attain the country’s renewable energy target.